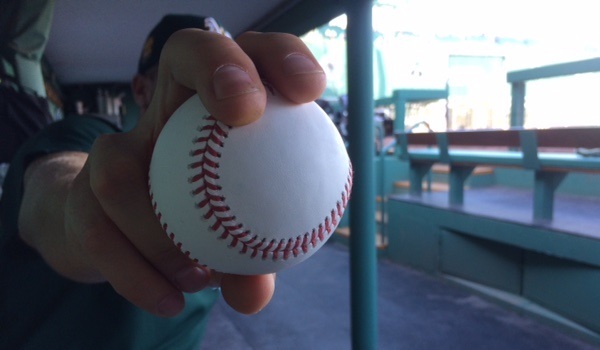 In the eighth installment of this series, we’ll hear from three pitchers — Sean Manaea, Blake Treinen, and Steven Wright — on how they learned and/or developed a specific pitch. “My college roommate, Tyler Pazik, showed me his changeup before the last start of my sophomore year [at Indiana State]. Three days later I took it to our regional game against Austin Peay and threw it pretty well. It was one of those things where I could just pick it up and throw it, and not have to think about it. Then I took it to the Cape and had a good summer there. Then I took it to my junior year. “After I got drafted, the Royals scrapped it. They didn’t want me to throw [that particular changeup] — I don’t really know why — so from 2013 to 2016 I didn’t throw it at all. I tried to learn a regular circle, a four-seam change, a two-seam grip. I tried everything I could, and nothing felt right. “When I got called up here [with Oakland], I made two starts and had no feel for a changeup. I couldn’t throw it for a strike. I couldn’t do anything with it. I asked Curt Young and Emo [Scott Emerson] if I could go back to the changeup I threw in college, and they were like, ‘Sure, let’s see what you have.’ I threw it in the bullpen in Baltimore and they were like, ‘Alright. That’s pretty good.’ My next start was against the Red Sox, and I didn’t have a good showing, but from then on it’s continued to get better and better. “I’ve always had a breaking ball, but it used to be 82-83ish and more slurvy. In 2014, after a start in Pittsburgh, it was kind of, ‘We have to figure something else out, because it’s too inconsistent. It’s backing up on you. It’s not great.’ Steve McCatty was my pitching coach in DC at the time. In Triple-A it was Paul Menhart, and he taught me kind of a cutter grip. He was like, ‘Just learn to feel this off your fingertips first, then we’ll work on manipulating it a little bit.’ It kind of evolved from there. “Whenever I have to reset it, I just try to throw it like a cutter. I throw it as hard as I can and let it work. I’m not out there trying to sling it with snot flying out of my nose, but I do throw it with a purpose. Velocity is great, but I just like the late action on it, the depth. I don’t know the sabermetrics or the science behind it, I just know it’s been effective for me. 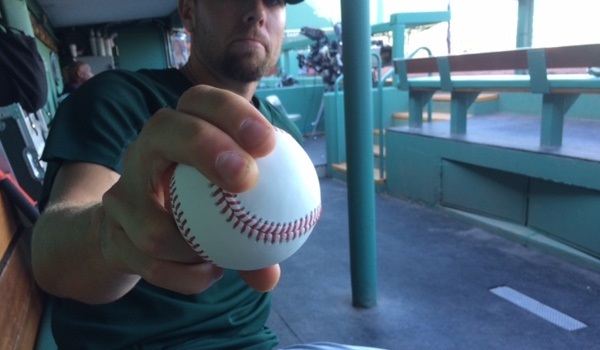 “Some people teach cutters on a four-seam grip and you just angle the ball a little bit in your hand, and your wrist stays behind it — not straight behind it, but slightly at an angle on the edge. I did that, then it turned into, OK, if that’s four-seam, high-seam/low-seam, long-finger/short-finger. Right? I would drop my hand down, and I want the seam to line up the same across my fingertips. I tilt it to where it’s the same, across my fingernails, like underneath the pads of my finger. “I started throwing it when I was about nine years old. Frank Pastore, who I was taking pitching lessons from, threw one back to me, and I was just so intrigued by how you could throw a baseball forward with no spin. Over the years, I kind of messed around with that. “Fast forward to 2010. I was struggling majorly in Double-A and Triple-A — I was kind of bouncing back and forth — and I didn’t have a swing-and-miss pitch. One day, Greg Hibbard and Jason Bere, who were the pitching coaches at the time, saw me messing around with it on the mound. They told me, ‘Hey, this could be your swing-and-miss pitch.’ So I kept messing around with it. In 2011, I went down to Low-A, then back up to Double-A and Triple-A, messing around with it even more. “In 2012, I started working with Charlie Hough. That’s when my eyes really got opened up to how it can be more controlled, how it can be thrown for strikes and utilized at all levels. From that point on it started to really click. We hoped you liked reading Players’ View: Learning and Developing a Pitch, Part 8 by David Laurila! Love the series and love the pictures of the grips!